Your fitness is important and that's why the Specialized CrossTrail Sport 2019 focuses on seamlessly blending comfort, versatility, and efficiency. 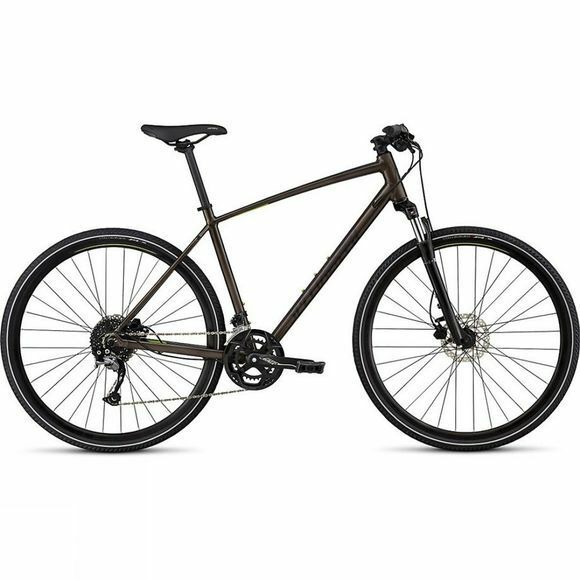 It comes equipped with a suspension fork with the Fitness Brain technology that can tell the difference between pedaling inputs and trail bumps, so you won't be wasting any energy on your climbs. And to build on this blend of comfort and speed, the frame is built from respectably light and rugged A1 Premium SL aluminium with a geometry that's made to fit just right from the minute you get on the bike. Working with the Body Geometry team, Specialized designed a frame that strikes the optimal balance between comfort and efficiency. The A1 SL Premium aluminium construction pairs weight savings with rugged durability, while the rack, fender, and disc mounts give you an incredibly versatile package.